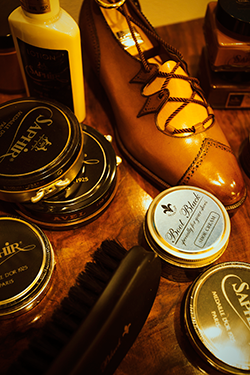 Original order shoes are based on our house last with a modification and design from our original samples. 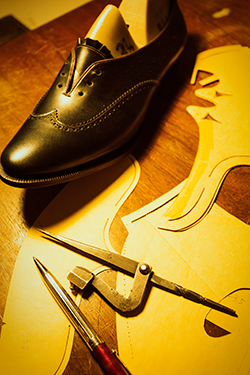 Our Full Order shoes are built on a last that has been created for a customer. ※We keep your modified last. You can use your last for next order.The price of the second shoes will start from \230,000(95% Handmade) / \315,000(100% Handmade). We offer repairing only for shoes made by CLEMATIS. The differences between 95% handmade and 100% handmade. 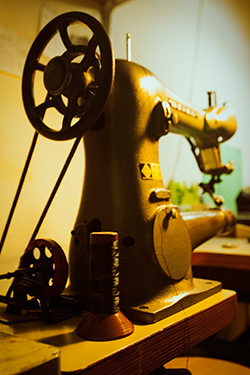 Outsole stitching is made by machine and hand. Stitching part of arch by hand cause better fitting than just all machine stitched sole. You can get the shoes with shaped appearance and good fitting with reasonable price. This is entirely handmade. You can see the very dense and fine hand sole stitching.